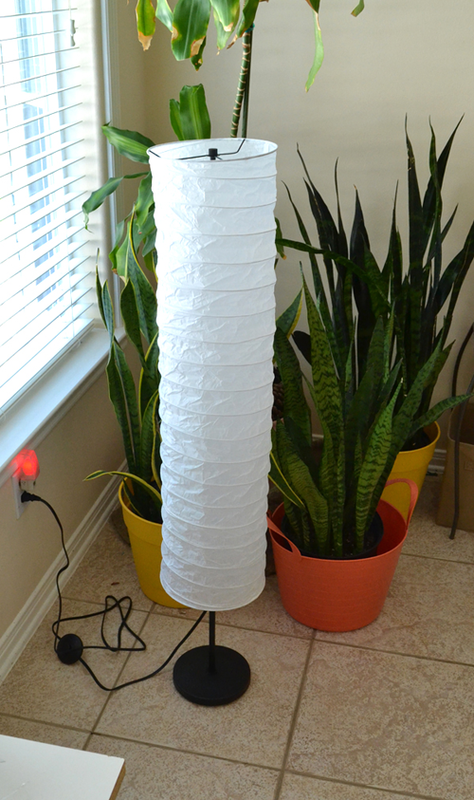 iLoveToCreate Blog: The $10 Lamp! I've been desperate to change up my living space. What once made me happy now makes me sigh. And so I've decided to do something about it and anything I can DIY and work out on the cheap is a project that has me smiling! 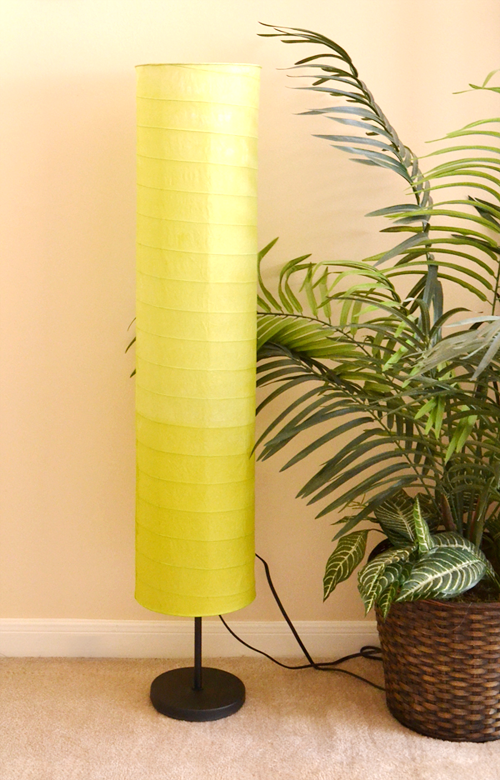 Today I'm sharing with you my $10 lamp. That's right... All of my materials cost a cool $10. Pretty spiffy! Not gonna lie, one of my favorite things about visiting my parents is getting to go to IKEA. Don't get me wrong, seeing my family is GREAT but so is IKEA! 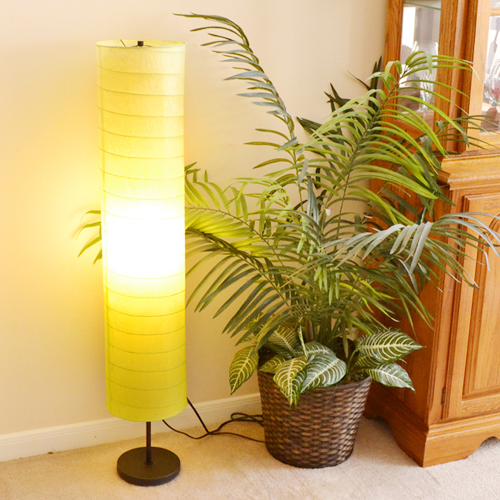 My mom and I spied these lamps that were only $7. I snapped one up without even really knowing what it looked like, because when am I going to run across one of these again any time soon? The lamp was okay and my mom and I were all "eh". We plugged it in that night and decided we liked the size and the light it put out but that blinding white was just so boring. But if anything, IKEA is good for a hack! And a quick trip to the craft store for my little $3 pouch of Tulip Permanent Fabric Dye and back and my little boring and cheapie lamp was about to get a makeover deluxe! And I'm going to show you just how easy this was! 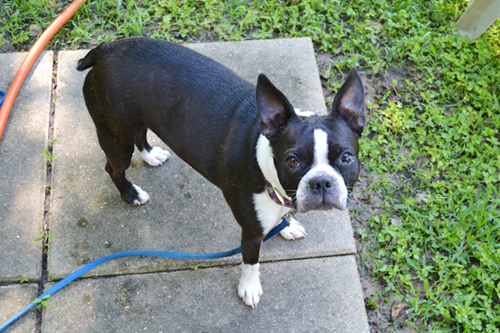 But first say hi to my assistant, Ruby-Doo the Boston Terrier. In lieu of my crafty cats I'm afraid I just sort of took over my dad's dog. She was a great help, though! 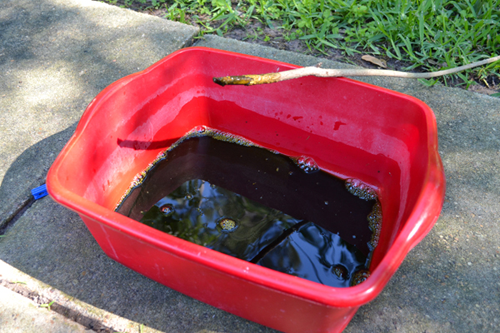 Place just a little bit of water into a tub or other plastic item. This is actually a dish-washing pan. Add in your dye and get to stirring. Since my canine craft assistant kept bringing sticks to me I just used one of those to stir my mixture up. 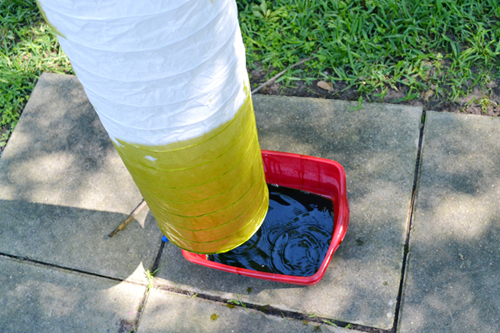 Dip the bottom of your lamp into the dye. It's pretty concentrated so it will be the darkest at the bottom. Don't keep it in the dye forever. 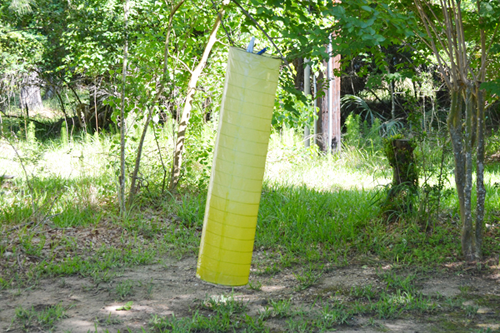 This is PAPER and will be easy to tear holes in or just plain fall apart. Dip it and get going onto the next step. 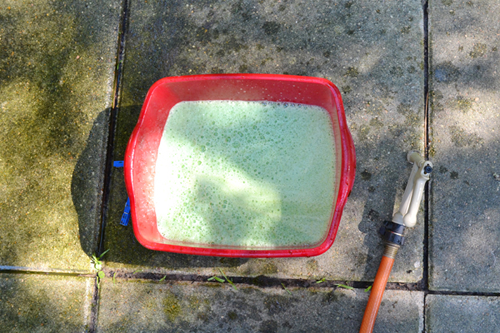 Add some water to dilute your dye for round two. Now in the first go I meant to go up halfway but I kind of got distracted constantly tossing sticks away from the craft area! Dunk the entire lamp into the mixture and pull straight up. Hang to dry and leave alone until FULLY dry. And there it is! I'll admit it doesn't exactly work in the very traditional decor of my parent's house but it's still absolutely fab, don't you think? The only thing I was upset was that I only bought ONE of these fantastic lamps! I'll have to snap up another next trip! At night the lamp gives off a slightly green glow but it's nothing distracting. It's a lot prettier than the simple white, though. 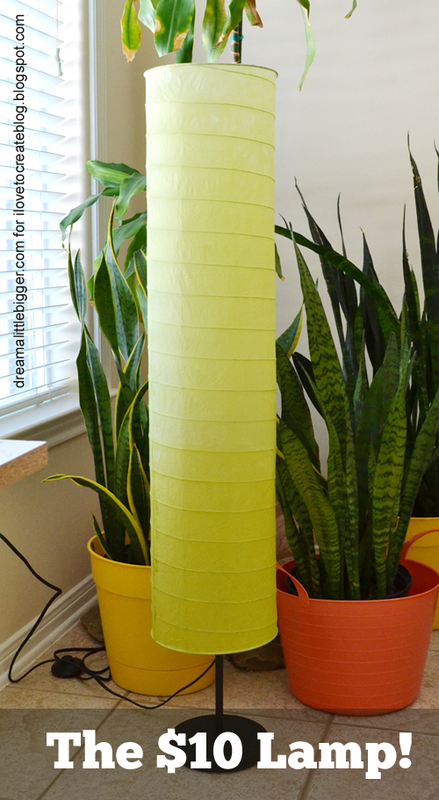 I used lime green but you can go with anything that will fit in with your decor. 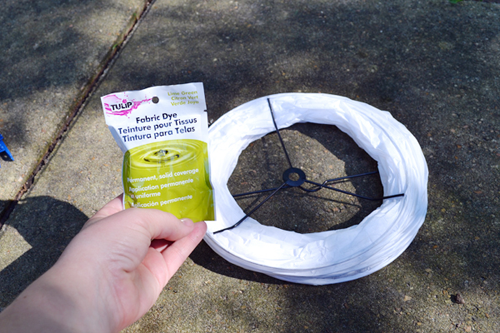 You can even tie dye one of these suckers for some really fun color that I envision would be amazing in a kid's room. For that, just grab yourself any mini tie dye kit that strikes your fancy or color scheme! So what do you think? Are you as impressed with my $10 lamp as I am? Be sure to visit me at Dream a Little Bigger for even more crafty goodness! Ta ta for now! 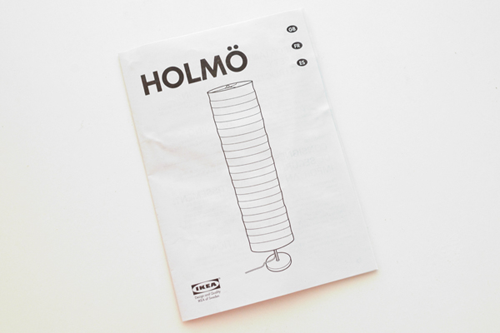 I want to go to IKEA but it too far.....I wonder where i could find one???? You can order online as well. Amazing job you did here.